Rumors have pegged this year's Call of Duty as a sequel to the Treyarch-developed Black Ops. 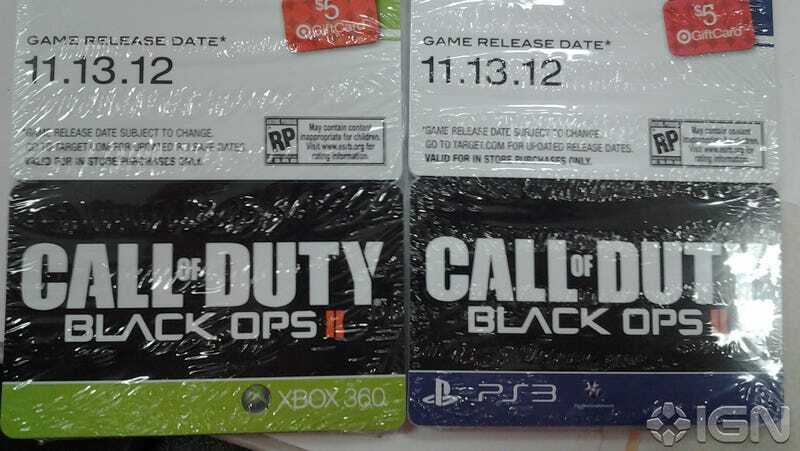 Now, an image of Target pre-order cards running on IGN appears to confirm the title and show a release date of November 13th. If you're keeping score, that's one week after Halo 4. The release date follows rumors of the game's existence, leaked box art, and leaked screenshots.